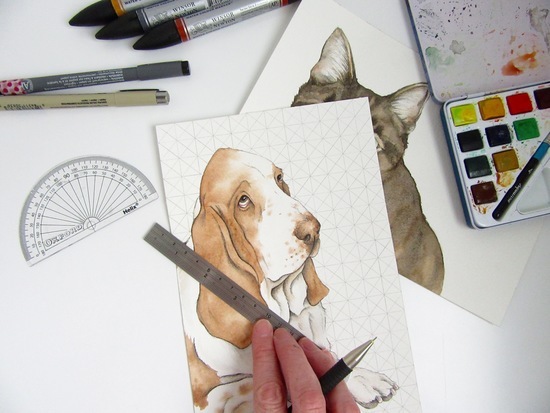 Pet portraits and wildlife illustrations from a naturalist. 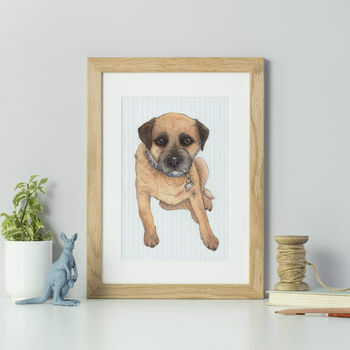 I am an illustrator specialising in pet portraits and wildlife art. 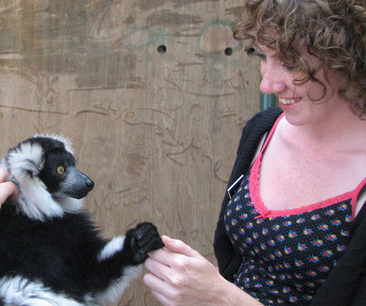 I have had a passion for animals for as long as I can remember. As a child I collected wildlife guides and watched every natural history documentary I could. 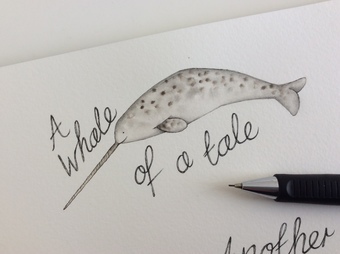 I also drew endless pictures of animals. I went on to study Zoology at the University of Wales, Aberystwyth and Evolutionary Psychology at the University of Liverpool. And I spent many years living in London and working in science communication. During those years I had very little time for drawing and painting. In 2013, as well as having a baby, I was diagnosed with an autoimmune disease which means regular medication and trips to hospital. 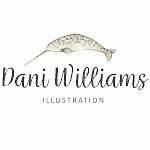 So it seemed like the perfect time to give up my day job to look after my son and myself and spend more time developing my drawing style and Dani Williams Art & Illustration took off. 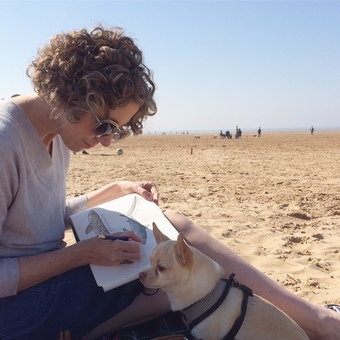 I'm now back in North West England and am thrilled to once again be be able to focus on my first passion of drawing animals. I have been shortlisted for both the BBC and the David Shepherd Wildlife Artist of the Year Award on several occasions, but at the moment I am moving away from fine art and am enjoying focusing on my mixed media illustrations, using watercolours, pencils and inks. 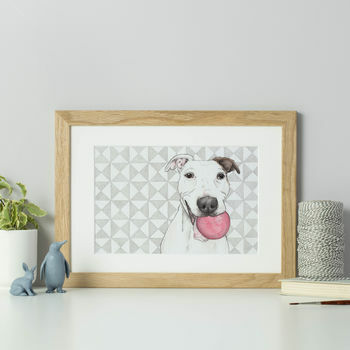 I incorporate geometric patterns into my pet portraits giving them a distinctive and contemporary feel. All my animal drawings are informed by my degree in zoology and time spent watching and working with dogs, cats and wildlife. I often think about my childhood obsession with animals that led me to study zoology and now I get a real joy from the idea of children looking at my pictures the way I poured over animal books as a child. So while I sometimes dress my animal illustrations in human clothes, I take care to keep the subjects realistic in their appearance and hope that in some small way I'm helping to feed childrens' love of the natural world. "It was absolutely perfect, better than I expected and the customer service was great !" "My portrait of my brothers dog is georgeous, it looks just like the picture I sent, would definitely recommend." "Fantastic product and fantastic service with prompt responses to any questions I had. I highly recommend Dan and will certainly use him again if i want a high quality 1 off present.. The advice re: framing was great. Everyone has loved and commented on the painting. It exceeded my expectations and I highly recommend using Dan." "Fantastic artwork and great communication form the seller, highly recommend"
Please note framing options are only available on UK deliveries.